Vaculayer Corp. can provide AR coatings for a diverse range of substrates and for the UV, VIS, NIR, SWIR, and MWIR spectral regions. 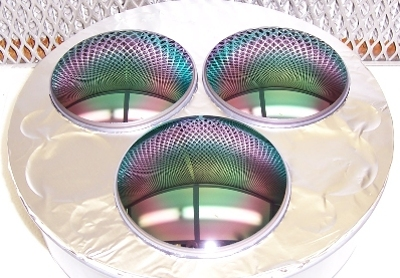 We can also provide non-radioactive AR coatings for MWIR wavelengths. Most of our AR coatings can be removed without having to repolish expensive substrates. We can provide AR Coatings (Anti-Reflection Coatings) for a diverse range of substrates. The links below provide examples of a few of these AR coatings.